"Sardis rich in gold," Aeschylus says. “As rich as Croesus”, we say. “Golden River” ran through the city. “Dreaded Lydians” planted fear in enemies' hearts. “Soft and fainthearted Lydians.” says the Book of Revelation. The city where “modern coinage” was invented; are a couple of notes about the Lydian Kingdom in Western Anatolia. Usually, legend blends with reality when it comes to history, but here in Lydia, all seems to be true. Sardis was a metropolis on the main route from inland Anatolia and Mesopotamia to Ionian port cities on the Aegean shore, was located in the fertile Hermus Plain and to crown it all, Pactolus River running in the middle of the city, carried golden sands! Excavations revealed gold-refining furnaces, hearths and some other artifacts that showed Sardis was an important center of crafts, wealthy and always dynamic. During the reign of King Croesus in 6th century BC, they discovered how to separate gold from silver and thus were able to produce pure gold or silver objects which lead to pure gold and silver coins. This was a revolution in coinage because before that it was impossible to determine the ratio of gold-silver in an electrum coin and with the new process, Lydia became the trusted leader in commerce. Soon Croesus' name was the symbol of immense wealth which still is. Sardes could never escape its dark fate full of invasions, war, and looting due to its riches, for this reason, they had to have a strong army which soon was reputable for fierce warriors on horseback and chariots. 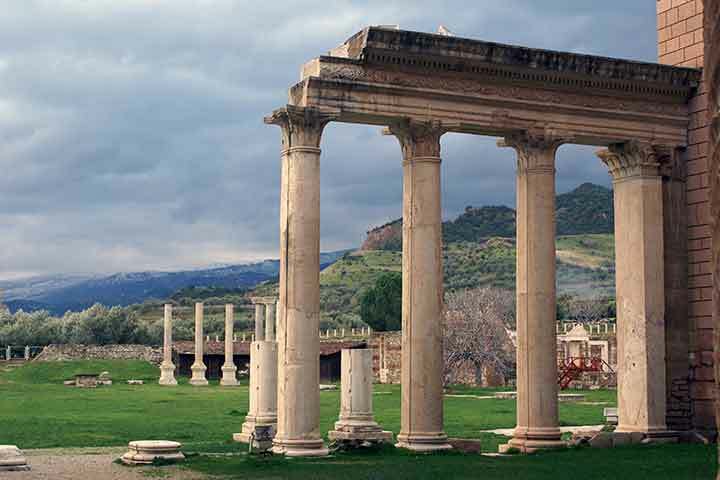 One of the most important visits of the day is the Temple of Artemis, a colossal shrine from Hellenistic Age dedicated to the main goddess. 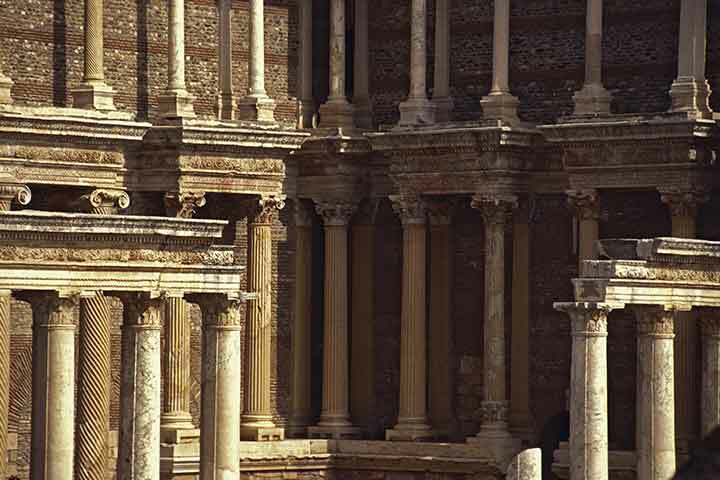 It was the fourth largest Ionic temple in the ancient world. 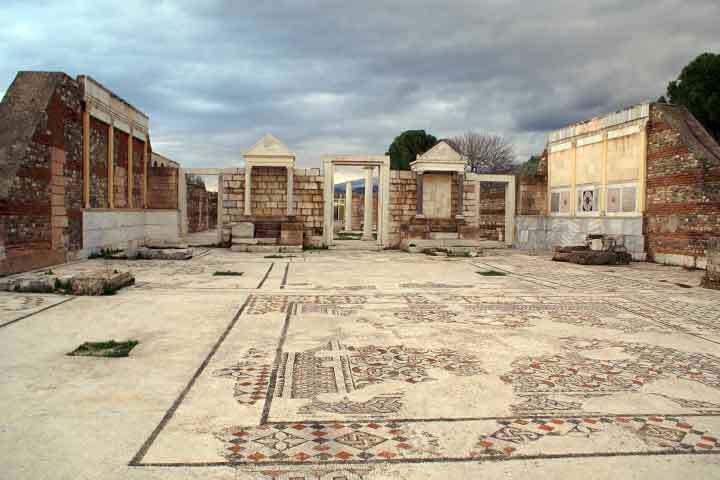 After Alexander the Great liberated Sardes from the Persians, the temple was renovated and later was used as a center for the imperial cult during the Roman Age. Two of the original Ionic columns are still in situ. The synagogue is next to a large bath-gymnasium complex from 2nd century AD and approached via the Marble Way. This main street was aligned with shops that were owned by Jewish artisans and merchants, as per the signs. Synagogue came into use in the 3rd century and was in use for about 500 years as Sardis housed the second largest Jewish community outside of Palestine. It draws attention for its size as being one of the largest in the old world and its urban location that shows the power and wealth of the community. The excavations are carried out by Harvard and Cornell Universities since 1958. The gymnasium has been restored and the synagogue was discovered in 1962. 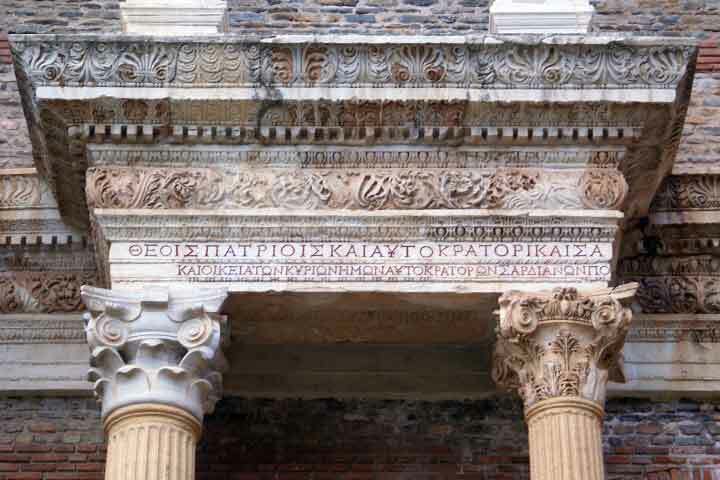 The ruins of the synagogue include admirable mosaic floors, some walls, and columns, and over 80 Greek and 7 Hebrew inscriptions.